Akash Ambani Shloka Mehta wedding card video: Akash Ambani and Sholka Mehta will tie the knot on March 10, 2019. The wedding card of Akash Ambani and Sholka Mehta has been shared by the Ambani family officially, on which Mukesh Ambani and Nita Ambani have shared a special message for to be bride and groom. Akash Ambani Shloka Mehta wedding card video: The wedding card of Akash Ambani and Sholka Mehta has been shared by the Ambani family. Akash Ambani, son of Reliance group of Industries chairman Mukesh Ambani and Nita Ambani, will get married to Russell Mehta and Mona Mehta’s daughter Shloka Mehta on March 10, 2019. The official video of Akash Ambani-Shloka Mehta wedding card has been shared by the elite family. 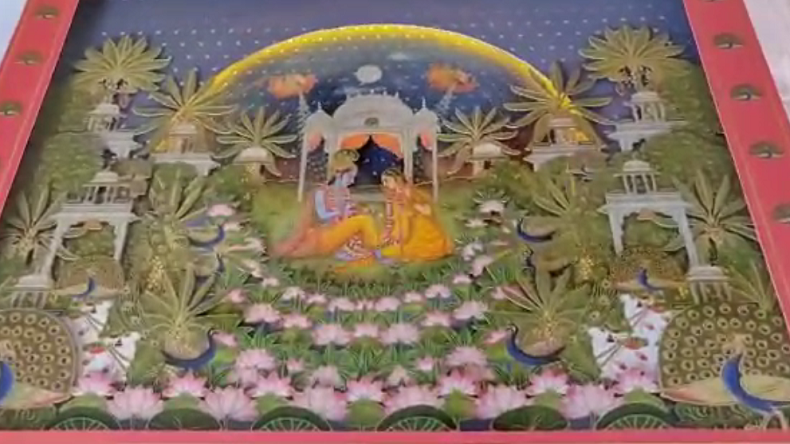 Akash Ambani-Shloka Mehta wedding card video starts with a piece of devotional music and prayers to Lord Krishna and Lord Ganesha. Inviting friends, guests, Mukesh Ambani and Nita Ambani through the note welcomed her to be daughter-in-law and her parents to their family.